The bulk carrier Benita sank on 93.5 nautical miles off Mauritius during towing to the ship demolition yard in Alang, India. The vessel started getting water ingress from the stern and increased trim seriously. 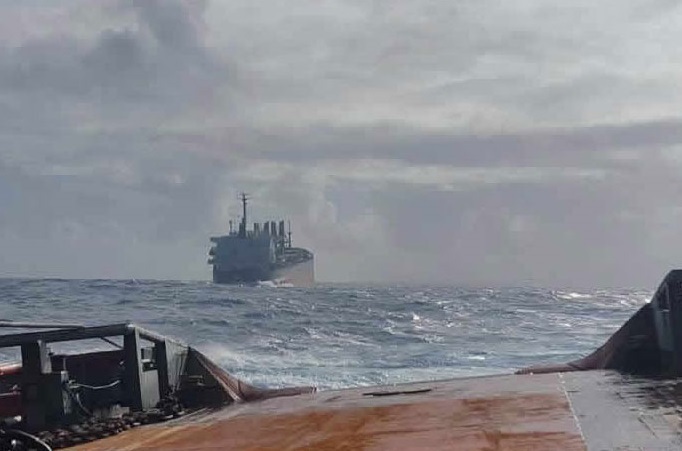 The bulk carrier was under tow by tug Ionian Sea Fos, but crew activated the tow line quick release system and left the vessel to turn over by the stern. No one was onboard of the vessel at the time of the incident and all the crew from the tug are safe and accounted for. The bulk carrier Benita sank at water depth of 4,400 m, but fortunately had no people on board. The fuel from the vessel was previously pumped out and there was no oil spill reported after sinking. The bulk carrier Benita was refloated a few days ago after was intentionally grounded by the crew in June 17 off off Mahebourg, Mauritius. The ship suffered breaches, water ingress and ensued oil leak. The bulk carrier Benita ran aground on southeast coast of Mauritius, Indian ocean, while en route from Paradip, India to Durban, South Africa. Grounding was intentional caused by a brawl among crew. The bulk carrier Benita (IMO: 9172961) was owned and operated by the Greek company Unit Maritime. The ship has length of 181.50 m, beam of 30.50 m and draft of 10.00 m. The deadweight of the vessel is 42,717 DWT and the gross tonnage is 24,953 GRT.